The pivoting half wall is split into two sections, and each half can be set in three different positions*. 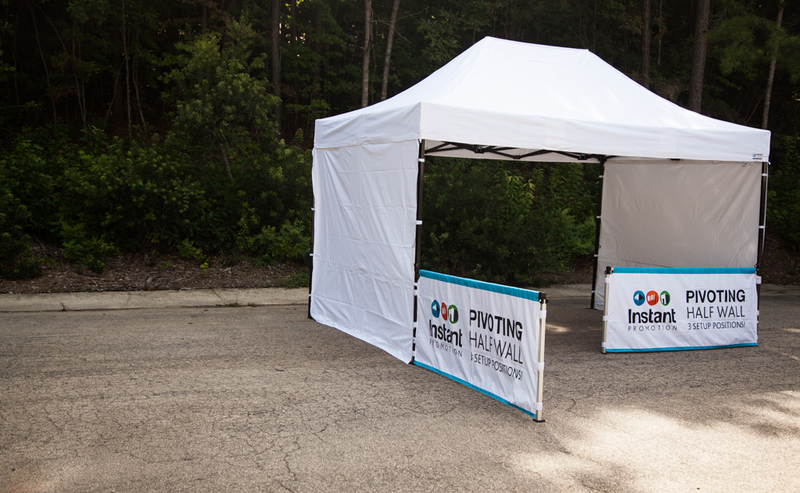 If you face the walls forward an inviting entrance way can be created in seconds, or alternatively open them all the way back and you’ve created two eye catching advertising banners that will undoubtedly attract more customers. 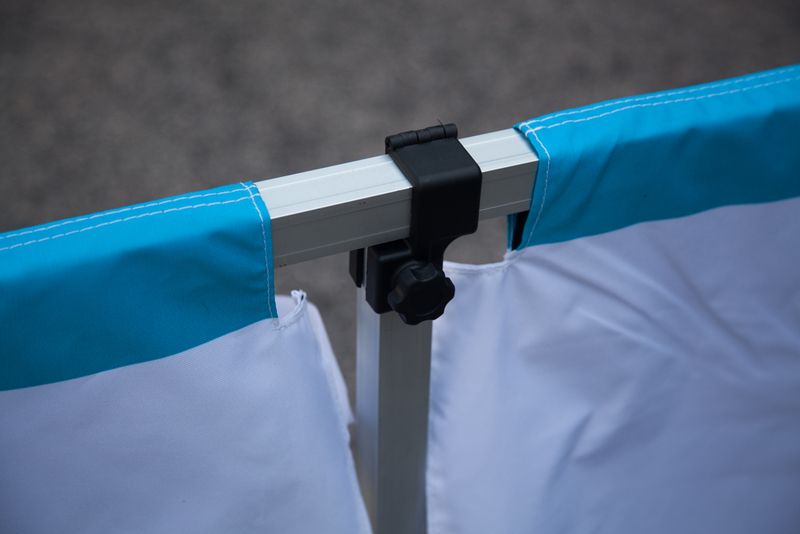 The vertical supporting leg has been designed with so that a weight plate can be used to support the walls in windy conditions (as shown in the photo below). 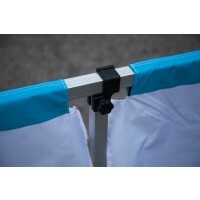 Each package comes with two wall bars, two branded walls, two brackets for frame attachment and two supporting legs. 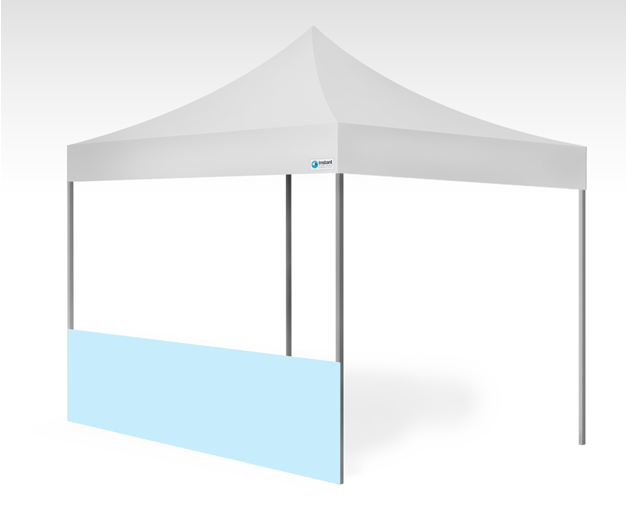 For example the 4.5m set will come with two 2.25m wall systems and the largest 9m set will come with two 4.5m bars. 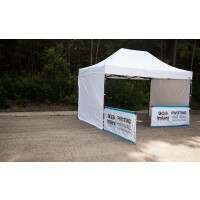 Our Package Deals are designed to make the process of buying a new custom printed gazebo as easy as possible! Every printed panel in each package includes UNLIMITED full colour sublimation printing! To apply for a FREE visual and quote just select a package style and size from the options below and then click the red 'Apply for a Free Visual' button. After you complete the short enquiry form our design team will start working on your visual, and once ready a member of our sales team will send you the 2D and 3D visuals with a fully itemised quote. 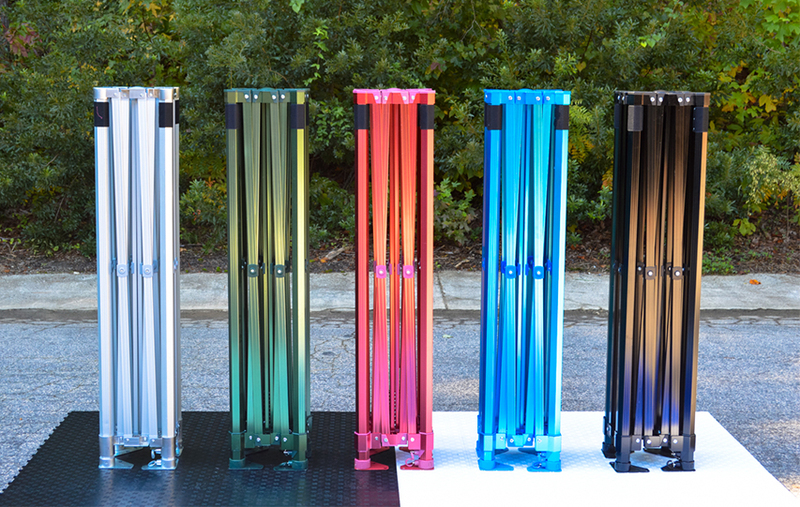 We manufacture several different frame ranges with varying levels of strength and durability, and each of these frame options will be included in the quote. If you have any questions please call our team on 0117 963 1668. We only ever use one type of material for custom printing, however when it comes to frames we have four models to choose from! The market leading Pro 50 is our heaviest duty full commercial frame, but thanks to high quality aluminium components the frame is still light enough to make transportation easy. The Pro 50 is also backed by a market leading 5 year warranty, and we stock every spare part for every frame in our range. 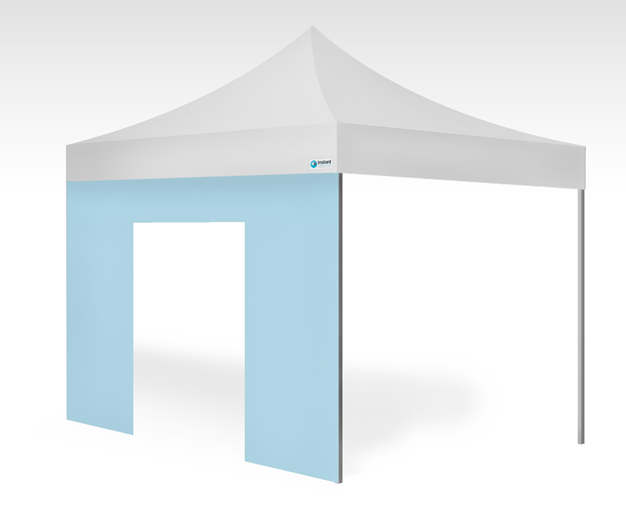 The PRO 50 is our top of the range Instant Awning frame design, and it comes complete with a market leading three year warranty! Featuring large aluminium hex shaped legs, strong truss bars and big sturdy feet, the Pro 50 is number one for a very good reason! 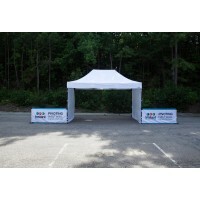 7 sizes to choose from - 4m x 6m now in stock! 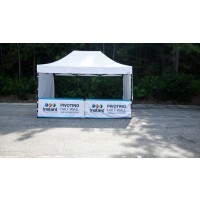 Outshine your competition by matching your branded Instant Awning with an anodised Pro 50 frame - 5 colours to choose from, backed by a market leading 3 year warranty. 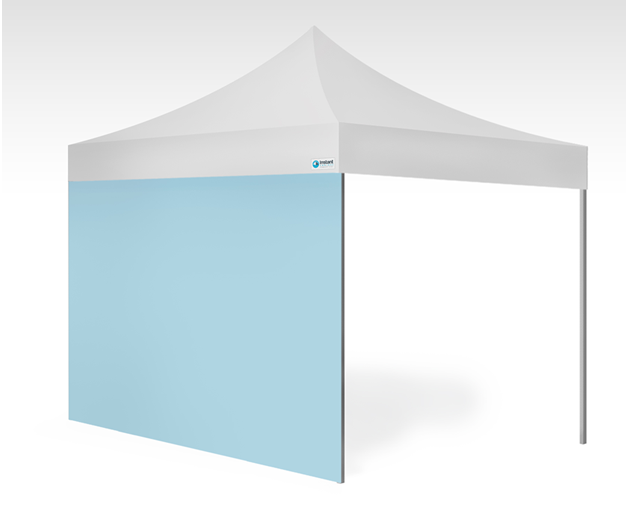 * The pivoting wall set can face forwards and to the side of any awning. To fit inwards there must be enough space available. I.e. 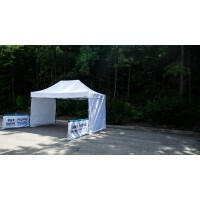 the 4.5m kit will fit across a 4.5m awning. 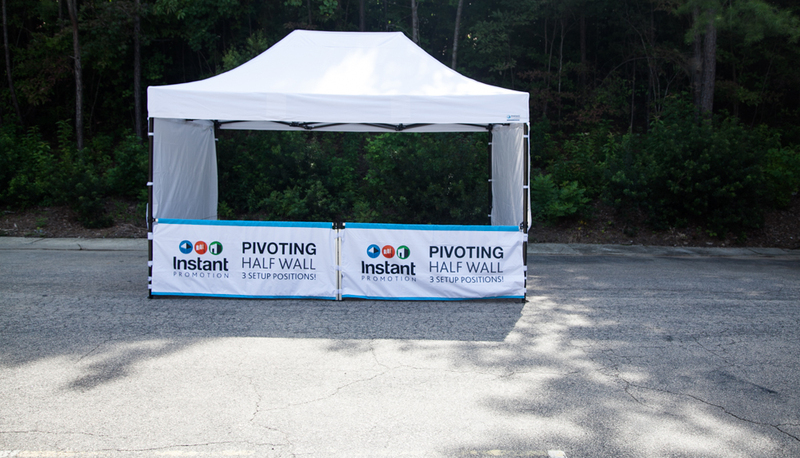 Click any images to view the Pivoting Half Walls gallery. 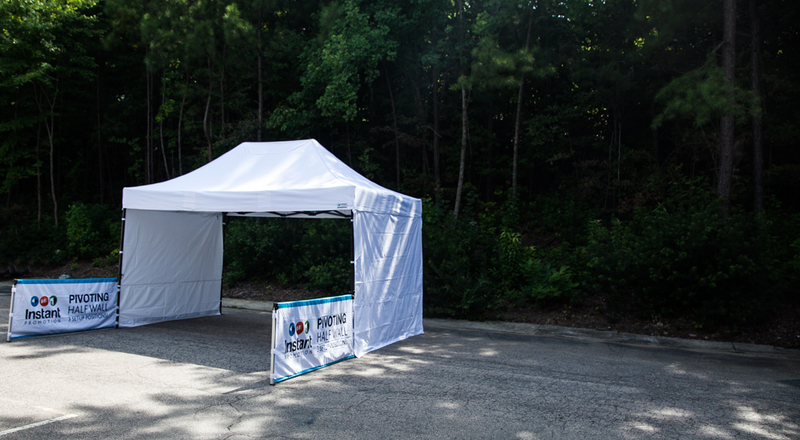 We offer a FREE mock up service to show you exactly how your branded Pivoting Half Walls could look so upload your logos and we'll create a mock up as quickly as possible! 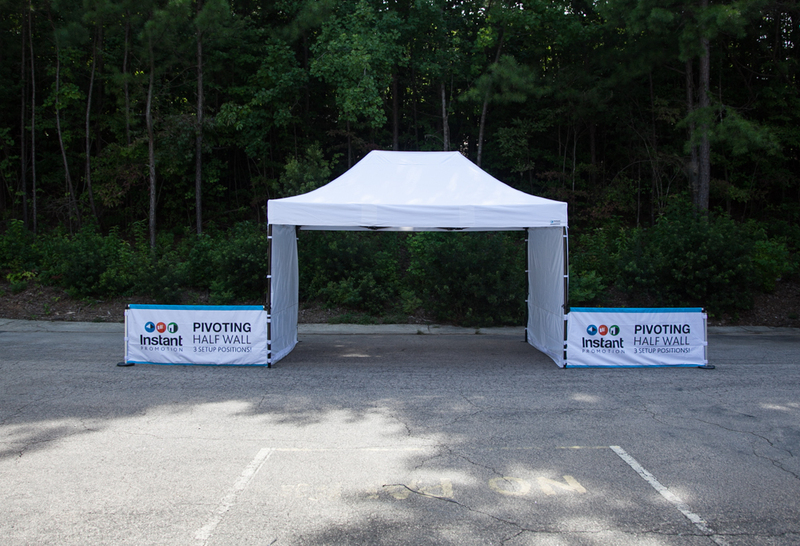 When do you need the Pivoting Half Walls by?